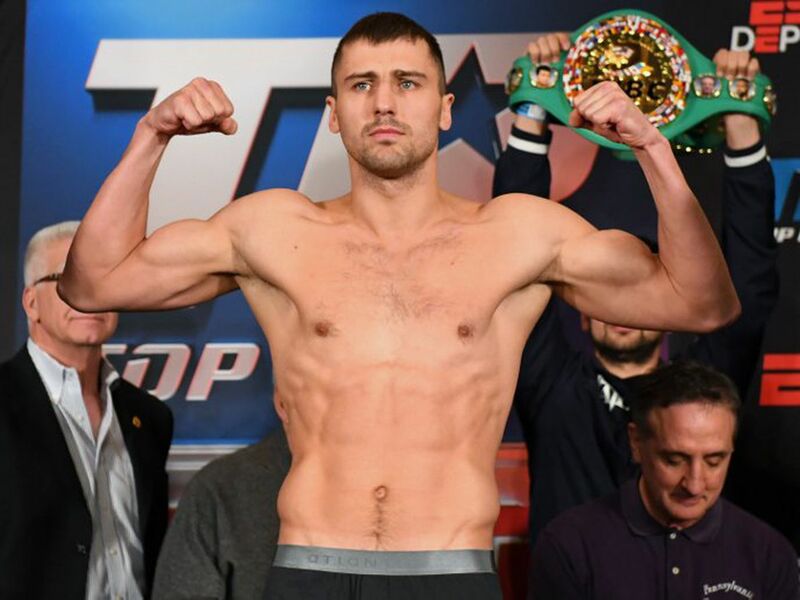 Ukrainian WBC light heavyweight champion Oleksandr Gvozdyk had the first fight defending his title against French Doudou Ngumbu in Philadelphia on March 30. The fight was broadcasted by Inter TV channel. Ukraine boxer won over Ngumbu with a technical knockout, and Ngumbu could not continue the fight in the 5th round referring to his calf muscle trauma. Thus, 31-year-old Olexandr Hvozdyk had 17 fights on the professional ring, and he won all of them. 37-year-old Doudou Ngumbu had 39 fights, 9 of which he lost. Doudou Ngumbu is 36; the boxer of mixed French-Congolese origin, he spent 46 fights in the professional division, winning 36 of those. He came to Kyiv on two occasions, winning over Vyacheslav Uzelkov in 2013 and losing to Umar Salamov in 2015. Oleksandr Gvozdyk is one of four Ukrainian world champion boxers. He got his title in December last year when he knocked out Adonis Stevenson. After the fight, the Canadian boxer was put into an induced coma; he recovered from it soon after that.